Location: Nantes, in the Loire-Atlantique departement of France (Pays de la Loire Region). Notes: Château du Grand-Blottereau is a castle located in Nantes, in the district Doulon - Bottière, France. 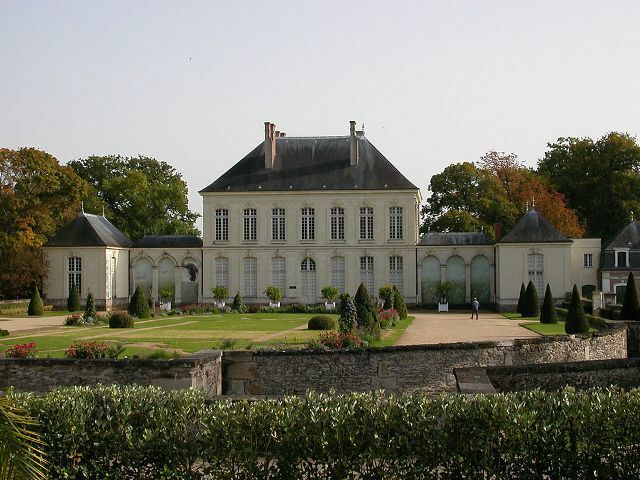 The castle is located in the western part of the Grand Blottereau the park. Its main entrance gate overlooks the boulevard Auguste-Péneau. After crossing it, we travel a path 200 meters long which allows access to the courtyard decorated with French gardens, all of which is surrounded by moats, and bordering the north facade the building. The facades and roofs of the castle, the interior decor of the rooms on the ground floor and the entrance gate are classified historic monument by order of 4 October 1966.